This large Neo-Classical Revival-style house featured a two-story-high porch that spread across the full width of the house and was supported by six classical columns topped with Corinthian capitals; the house also featured a porte-cochere and a matching carriage house. 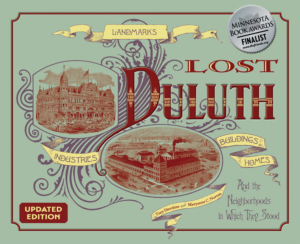 Louis Loeb worked in the real estate industry and also operated a wholesale wine and liquor business; he also owned the Metropole Hotel and sat on the board of directors of Duluth’s Northern National Bank. In 1921 the Loebs moved to Lester Park; later, Loeb would donate some of his property for Seven Bridges Road. 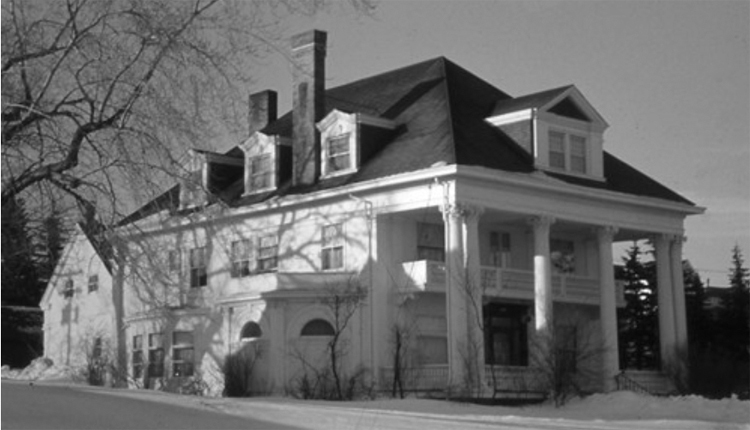 After the Loebs moved the house became the residence of Duluth’s Roman Catholic bishop until 1941. It served as a boarding house until the 1980s when Silver’s Dress Shop — which Ida Silver opened in her apartment in the late 1930s — took occupancy. 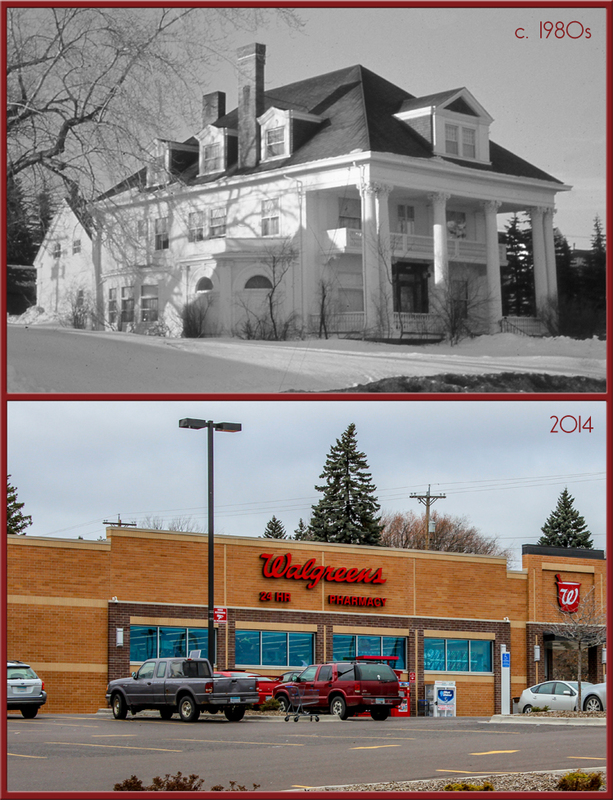 Silver’s closed in 2001 and the house was demolished in 2011 to make room for a parking lot for a Walgreen’s store.